Next time you feel like lobbing a few choice words at your child’s doctor, you may want to bite your tongue. According to new findings, being rude to your child’s doctor could lead to worse care. In a new study, researchers looked at previous findings from Johns Hopkins, which estimated that more than 250,000 deaths annually in the U.S. are attributed to medical errors (which rank as the third-leading cause of death in the U.S., according to the CDC). Up to 20% of errors could be chalked up to a doctor’s poor judgment due to lack of sleep, but more than 40% of inaccuracies are the result of rudeness, the study’s authors found. “People may think that doctors should just ‘get over’ the insult and continue doing their job. However, the study shows that even if doctors have the best intentions in mind, as they usually do, they cannot get over rudeness because it interferes with their cognitive functioning without an ability to control it,” said Erez. To conduct the study, the researchers asked 39 neonatal intensive care unit teams (two doctors and two nurses) to simulate five scenarios where they treated infant medical mannequins for emergency situations. During the simulations, an actress who played the baby’s mother was rude to only some of the teams. The teams who experienced rudeness made life-altering mistakes in all 11 measures, including in diagnosing the patient and prescribing a treatment plan. Medical professionals are human and, for this reason, are likely to be affected by social interactions. 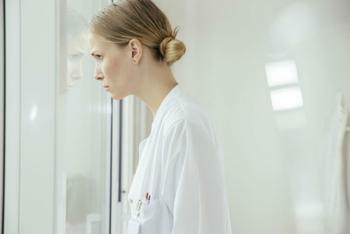 But interventions could be used to prevent rudeness from taking a toll on doctors’ performance, the researchers say. In an attempt to protect physicians from the effects of rudeness, Erez and his colleagues had some teams play a computer game designed to raise participants’ tolerance for negative emotions. Other team members wrote about the day’s experience from the perspective of the baby’s mother. When computerized training was completed prior to the simulation, the teams recognized -- but weren’t affected by -- the mother’s rudeness. However, writing about the day’s events didn’t appear to improve the physicians’ performance. In fact, the post-intervention exercise had a negative effect. Given the number of deaths attributed to medical errors, finding ways to teach doctors and nurses how to handle rudeness should be a priority for the medical community, Erez concluded.